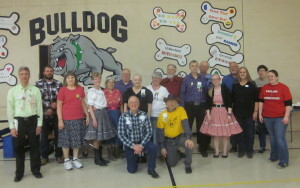 April 13, 2019 – Koronis Nite Owls “Spring Flowers” Square Dance, Paynesville, Caller Myron Hollatz. Rockin’ Country Dancers, Jolly Twirlers and County Line Squares danced with Koronis Nite Owls. Rockin’ Country Dancers and County Line Squares retrieved their banners.